When you’re considering the direction your company is taking, the Lifetime Value (LTV) of a user is one of the most important metrics to understand. Different LTV models can inform decisions like how much you can pay to acquire a user, the effects of losing users, and how changes to a product affect the sum-total revenue you can expect to bring in from a user. It’s also an easy metric to look at in order to see the overall health of a product in terms of both revenue and customer retention. A growing LTV means a company is doing well—customers are happy and will be giving you more money over the life of your relationship. On the other hand, a declining LTV means that a company is getting less money out of each customer it brings in and needs to fix something fast. LTV is an especially important metric because it shows you a more complete picture than other figures. For example, ARPU only shows what you are charging, on average, for a customer in a given month. What it doesn’t show is whether or not your customers are going to keep paying that amount, for a long or short time period, or if they are likely to upgrade and pay your company more money in the future. Similarly, retention figures don’t tell the whole story. While customer retention shows if your customers are sticking with you, it won’t show if customers are paying more or less each month. And while revenue retention will show if your customers are upgrading or downgrading—and thus giving you more or less money—it won’t show you whether your number of customers is fluctuating. This is why LTV is so important to understand—it fills in the blank spaces between ARPU and retention, giving you a more robust picture of where you stand. "LTV fills in the blank spaces between ARPU and retention, showing you where you stand." What is customer LTV (lifetime value) ? LTV is the total dollar amount you’re likely to receive from an individual customer over the life of their account with your product. Since the metric hinges on looking at your customers in aggregate or at least by segment, Lifetime Value allows you to account for and accurately predict your business’s revenue and profit. An important note here is that your LTV can be lower than your CAC in certain instances, but all of those hinge on you eventually making up the deficit through new products, features, revenue sharing, etc. Additionally, some venture backed companies forgo LTV for extremely high CAC to run a "scorched earth" strategy of acquiring logos. This is risky, but an effective strategy if you're in a "winner take all" type market. Every quarter you should be managing your LTV/CAC ratio. As a benchmark, you want this number to net out to at least 3, meaning for every dollar you put in your SaaS machine you're getting 3 out. Depending on tradeoffs (alluded to above), this number may be justifiably lower or hopefully much higher in the aggregate or on a per segment basis. Since LTV is a measure that combines how well you're monetizing (MRR) with how well you're retaining your customers (MRR Churn), LTV can be used to benchmark success across different aspects of customer acquisition. Comparing LTV across channels, sales reps, marketing efforts, etc. will give you insight into which aspects you need to eliminate in your process and which you need to put accelerate with more fuel. One of the major goals in SaaS is to clone your customers. SaaS as a giant math formula allows you to break down which attributes lead to high LTV customers, allowing you to knowledgeably build out your product, marketing, sales, etc. to maximize the likelihood of keeping and acquiring these customers. Because LTV encompasses how effective you are in your retention, the metric can be used to track the impact of different retention efforts, allowing you to advance your product org down a path that focuses in on maximizing value through product. If knowledge is power, LTV gives you the ability to reasonably project your cash flows and growth as you acquire additional customers. This can be incredibly important to your cash flow, allowing you to financially plan your team growth, marketing spend, etc. How do I calculate LTV (Lifetime Value)? 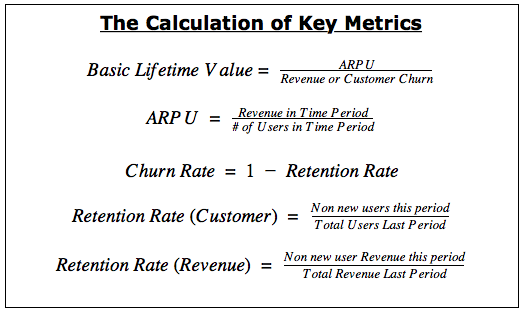 One of the simplest and most frequently used models of LTV for subscription companies is based on ARPU and the company’s churn rate over a certain period of time. Due to the fact that most SaaS companies charge monthly, we’ll be using the month as our period of time. The LTV for any given month, then, is the amount that each current customer of the company is expected to pay during the remainder of their lifetime with the company. One of the biggest drawbacks of this, and all other traditional LTV calculations, is that there needs to be a large enough sample size (number of customers) in order for the LTV calculation to be meaningful. If a company has a large number of both customers and revenue, then there should be low variation in month to month changes, unless the company is either doing something very right (in which case, we’d expect these numbers to increase drastically) or very wrong (decrease drastically). The problem with having a low number of revenue (or customers) is that it reduces the statistical power of the model, meaning that the model’s expectations are less reliable. Also, with a lower number of customers, each individual customer has a greater impact on the LTV calculation for that month. 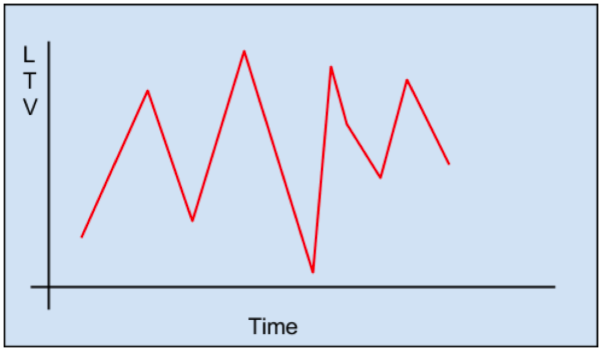 If a company with a small number of customers loses 1 or 2 customers or a few hundred dollars it will cause the LTV to spike for that month, giving a chart for LTV that looks like Figure 1. Figure 1. An example of a traditional LTV calculation for a company with a small amount of customers. Another potential problem is that if a company is awesome enough to have 100% retention in a given month, the calculation becomes mathematically impossible, because you can’t divide by zero. Here at ProfitWell, we love to geek out on data and metrics. A lot. Probably more than we’d normally admit in public. After a lot of pondering and discussion, we feel like we've figured it out a better way to deal with low customer numbers and retention by developing a unique algorithm (the technical term being “secret sauce”). This algorithm lets us better regulate small changes, as it looks at how LTV is trending instead. It does this by comparing this month’s LTV to last month’s in order to remove the spikiness that can be caused by small samples sizes, giving an overall more accurate LTV. 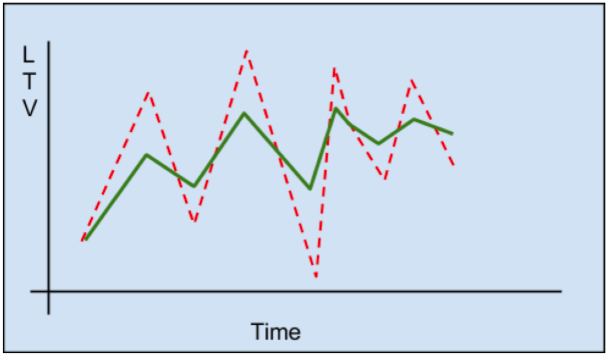 Also, by looking at trends instead of using other methods to deal with highly variable data like lifetime capping—saying that each customer will only stay with a company for a certain number of months or years (a number that will be different for each company)—we can also better predict an LTV for all types of companies, regardless of their size, retention numbers, or growth rates. Using trends also helps deal with problems like having months with 100% or greater retention—instead of having huge unrealistic spikes, we can show a reasonable uptick in LTV, shown in Figure 2. Figure 2. 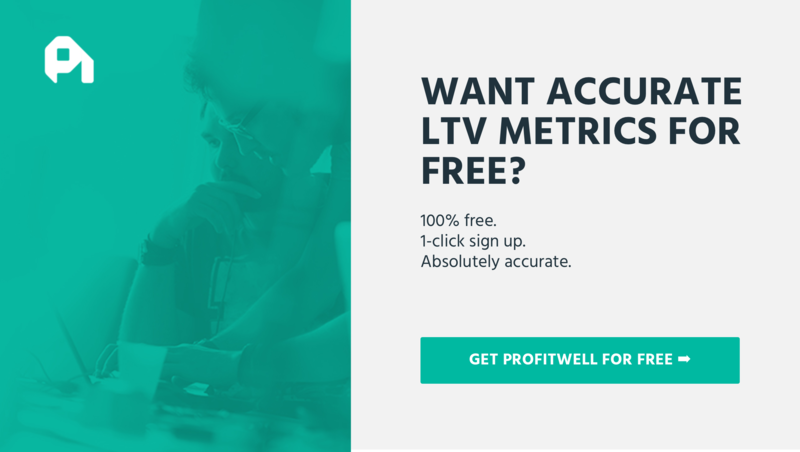 LTV calculated with the ProfitWell secret sauce (in green). It’s much easier to see the trends and growth in the LTV for the company with our algorithm, as it smoothes out some of the spikiness found in the raw data. At the same time, the up and down fluctuations are maintained. A simple trend line won’t show these peaks and valleys, which can be important for making decisions. Overall, our model of LTV provides more actionable data, while still ensuring that the information is presented in a reasonable and accessible way, leaving you with actionable insight, not fussing over peaks and valleys. That’s why we calculate LTV as we do, and it’s our driving goal with everything we do with ProfitWell. Who needs more charts without a clear purpose? Lifetime value is a testament to the success of your SaaS business. The higher your customer lifetime value is, the longer you can turn profits and grow. Remember that LTV is a balancing act that goes hand in hand with your CAC. A viable business model will always yield a higher LTV. 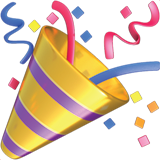 Here are some actionable ways you extend the life of your customer and get LTV higher. Grow your customers’ LTV by building add-on revenue into your product, particularly through your overarching pricing strategy. Be sure to find add-ons that supplement both LTV through increased revenue, but also retention. As a rule of thumb, you should be looking for products that satisfy at least 30% of your customer base, since you should reasonably be able to monetize that group. A great example of this strategy is Appfolio. 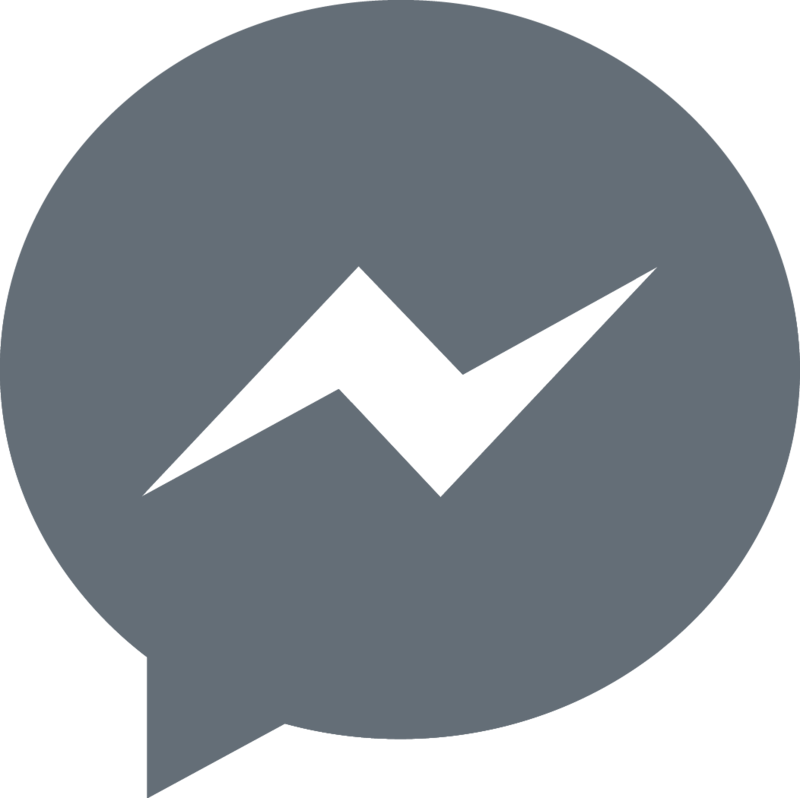 Give your customers not only add-ons, but entirely new products to purchase and retain into. You already have them in the door, so make sure you capitalize on that relationship through adding pieces of product to their workflow. Overall, these solutions should be at least related to your core product to promote synergy amongst your product and customer success teams, but this isn't an absolute requirement. Scalable pricing is vital to success in any SaaS business. The pricing structure should be created to scale either up or down capturing the smallest/cheapest customers, up to the largest customers that are willing to pay more. The best way to do this is through what's known as a value metric (number of users, number of visits, depth of usage, etc.). Read more about value metrics and choosing the right one here. If you’d like to see how your data looks in ProfitWell, you can sign up for free.